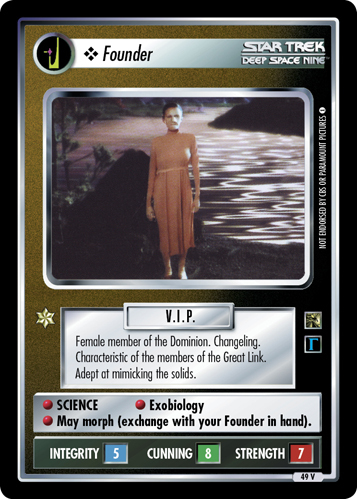 Female member of the Dominion. Changeling. Characteristic of the members of the Great Link. Adept at mimicking the solids. • SCIENCE • Exobiology • May morph (exchange with your Founder in hand).